Ready Flowers’ prices can include a large commission. Online florist Ready Flowers boasts 500,000 customers worldwide and promises a “fast, efficient service at a reasonable price”. But there’s something the company’s website doesn’t tell you: its commission can make up a big slice of what you pay. 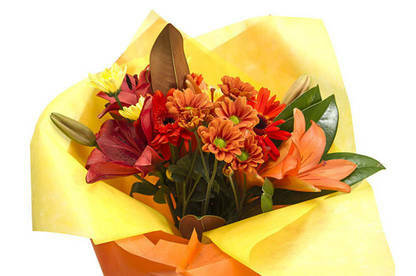 Ashley Smith ordered an $89 bouquet from Ready Flowers for his wife’s birthday. But the flowers that arrived were an “absolute disappointment”. The bouquet contained five lily stems and a bit of greenery. The bunch was like something you’d buy at the supermarket for less than half the price, Ashley said. We bought a $88.55 bunch of flowers from Ready Flowers and this is what was delivered. When he phoned the local florist who filled the order, Ashley discovered Ready Flowers had passed on just $37 of the amount he’d paid. The florist had made up a $22 bouquet and charged $15 for delivery. The rest of Ashley’s money was Ready Flowers’ cut of the deal. Ready Flowers’ website doesn’t disclose any information about the amount of money it may keep from your order. Our consumer adviser Maggie Edwards said there’s nothing in the company’s terms and conditions to alert customers ordering an $89 bouquet that they won’t necessarily get $89 worth of flowers. A sales rep at Ready Flowers’ Hong Kong call centre said he wasn’t allowed to tell us how much the company made on each sale. But the company later told us its commission was “roughly” 50 percent. It defended its prices, stating the website provided a clear description of each bouquet so customers knew what they were getting. However, site users have to click on a separate tab to view these details when placing an order. Ready Flowers has come in for criticism before. It’s previously appeared on TVNZ’s Fair Go as a result of complaints. We think the company should clearly disclose its service fee to avoid the risk of misleading consumers about the value of the flowers they’re buying. There was a happier outcome to Ashley’s story. After hearing how much he’d paid Ready Flowers, the florist who filled the order sent him a complimentary $60 bouquet. 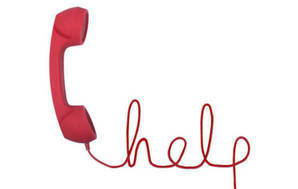 The Consumer Advice Line is here to support all our paying members with consumer-related issues. Our expert advisers can answer your questions, explain your rights and help you resolve problems with a retailer or service provider.